Some of the Middle East's vast oil riches are being plowed into Manhattan's most iconic skyscraper. The sovereign wealth fund of Qatar made a $622 million investment on Tuesday in the Empire State Realty Trust (ESRT), which owns and operates the Empire State Building. The purchase gives the Qatar Investment Authority a nearly 10% stake in the building. The Qatar Investment Authority was founded in 2005 to grow the money made off the tiny OPEC Gulf nation's natural resource. Qatar also has stakes in Tiffany (TIF), Volkswagen (VLKAF) and Credit Suisse (CS), among others. Qatar is also hosting the 2022 World Cup. The nation has weathered the cheap oil storm better than Saudi Arabia and other Middle East nations. That's because Qatar has built up a big war chest of oil money to protect it during leaner times. It also has a relatively tiny population of barely 2 million people to support. John Kessler, president of the Empire State Realty Trust, welcomed the Qatari investment in a statement, calling it an "endorsement" of the company's "irreplaceable assets." It's the latest bet on the world famous Empire State Building by a foreign investor and a further sign of how hot Manhattan's real estate market is. Other major shareholders of the Empire State Realty Trust include Norway's massive sovereign wealth fund. 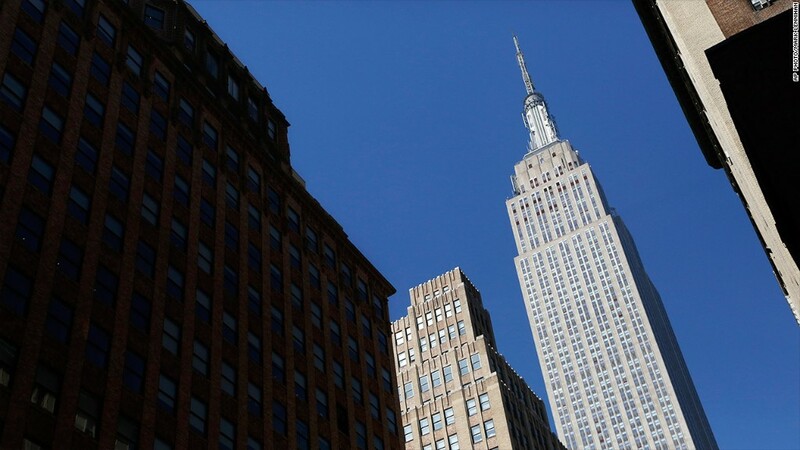 Japanese investment firm Shinko Asset Management as well as Australian real estate investor Resolution Capital also own major stakes in Empire State, according to FactSet. Empire State went public in 2013 as a real estate investment trust (REIT). The IPO raised nearly $1 billion.